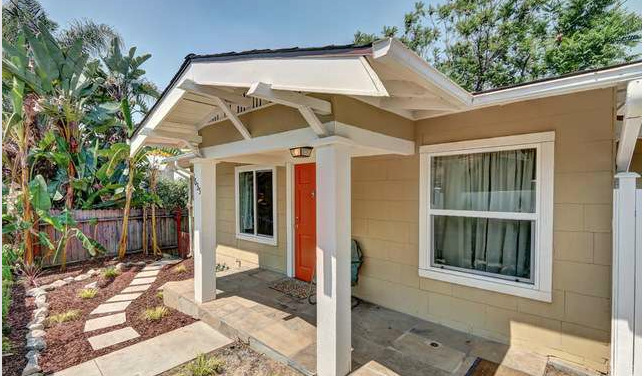 If you’re someone who believes in the old adage “good things come in small packages,” may I introduce you to 1635 North Alvarado Street. 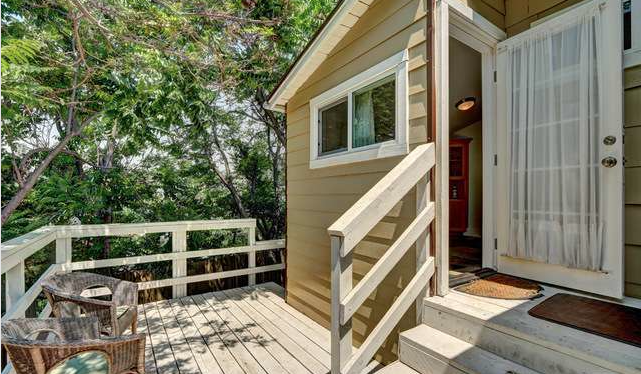 Built in 1922 this modest 2 bedroom, 2 bathroom bundle of California bungalow nirvana can be all yours for $499,000. While it maintains its period charms, much has been done to bring it up to contemporary standards, including new hardwood and slate flooring, copper plumbing, and central air & heat. 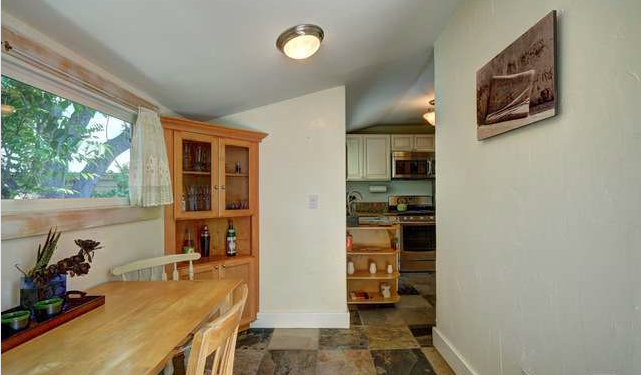 On record, this diminutive unit is all of 622 sq/ft, but judging from the images, it’s been put to good use. A clean layout and decent lighting can be thanked for that. 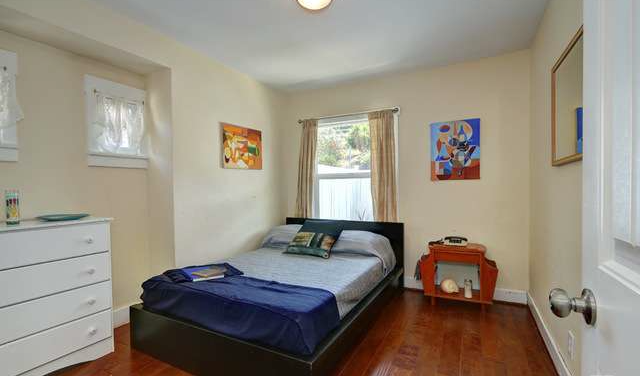 The bedrooms, as expected, are not sizable, but smart spacial relations will always pay dividends. 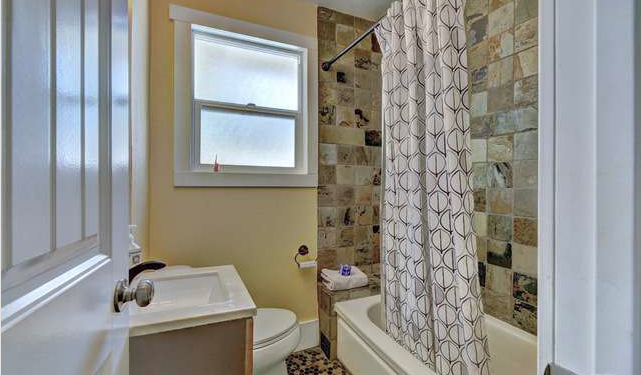 As much as I would have liked the bathroom design to remain planted in the past (claw foot tub anyone? 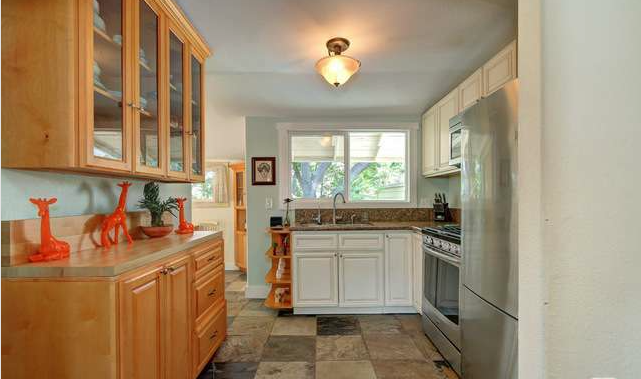 ), the tile work does a good job matching the rest of the home. Considering its location between Glendale Blvd. 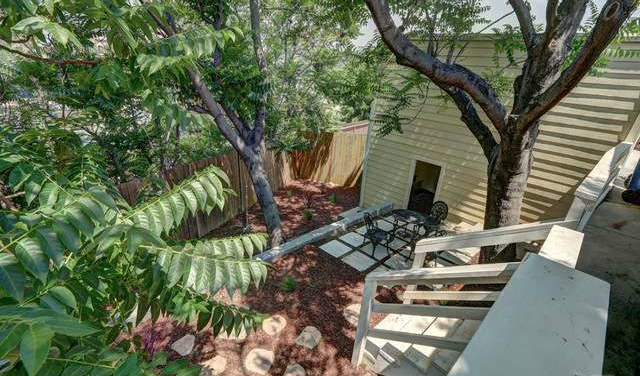 and Alvarado St. the deck and yard are not only private, but almost serene, thanks to a healthy dose of mature flora. 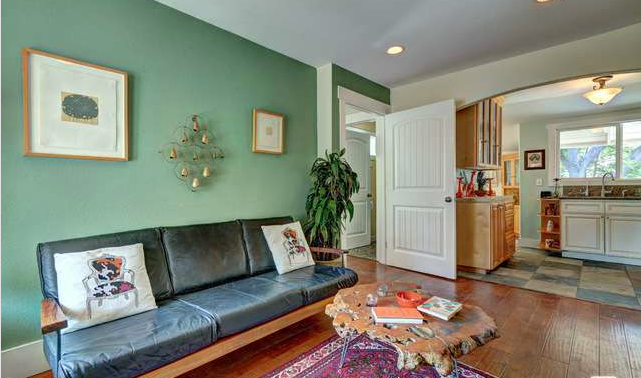 A few strategically placed string lights or lamps could make this an urban oasis for evening shindigs. 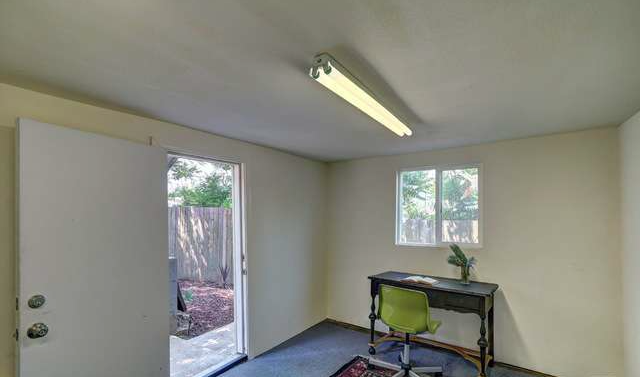 As has come to be the norm for many of these homes, there is a tiny artist studio/office located below the one car garage. For a private showing, please contact Jovelle Schaffer at jovelle@jovelle.com. 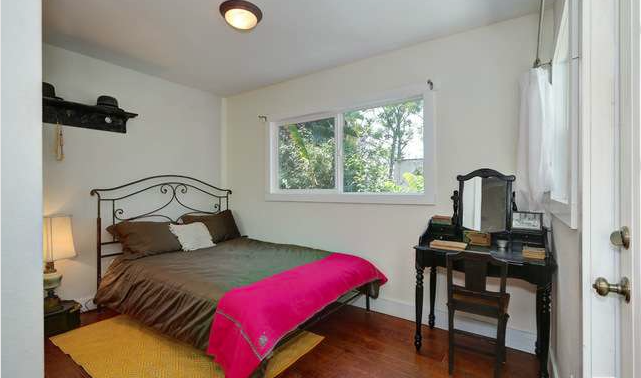 Alicia Lawhon of Extraordinary Real Estate Inc. has the listing.